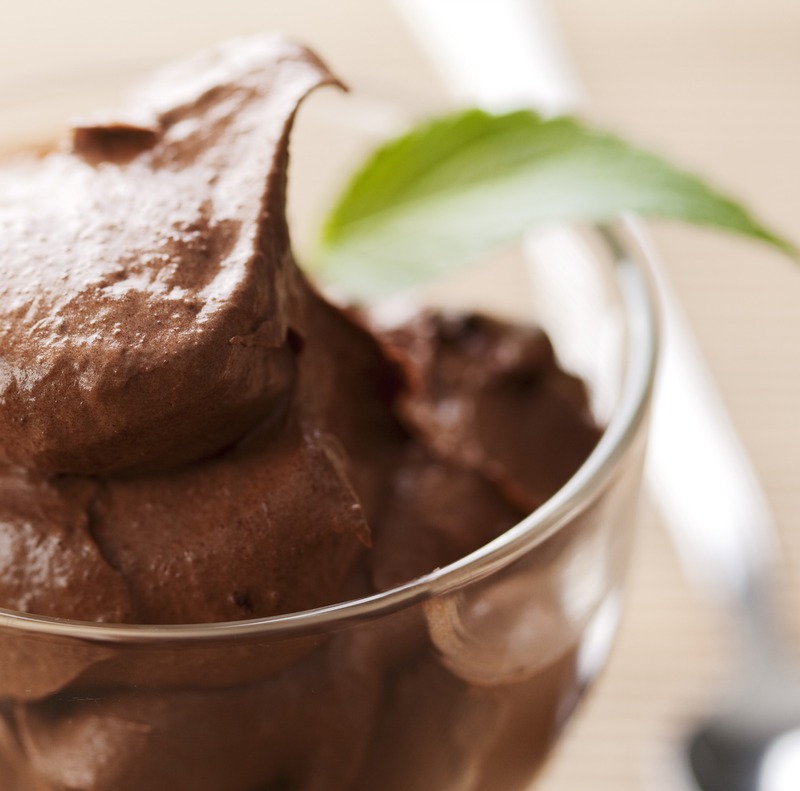 Foods for a Better Period: MMM MMM Mousse! In the last recipe post, we discussed the cravings we have during our periods and what they mean. Sometimes our cravings are just our body’s way of crying out for certain nutrients: period food! But, the question of ages is: How do we fulfill those cravings in a healthy way? Chocolate…. As healthy Period Food? I LOVE chocolate! I simply can’t get enough of it. Lucky for me, a simple swap of cocoa with cacao in most recipes give amazing health benefits! Cacao is the highest source of plant-based iron out there. It’s loaded with Magnesium and Calcium and helps boost serotonin. I found an amazing recipe that combines my love of this superfood with another household necessity: The Avocado. After some research, I found that avocado is loaded with Magnesium, Potassium, Fiber and healthy fats. So you can think clearer, ease digestion, and feel less pain during your period…all thanks to an avocado! Check out the recipe below, and click here for the original from Cook, Eat, Paleo. Directions Combine all ingredients in food processor and process until completely smooth. Once combined, taste. The texture will vary depending on the ripeness and size of the avocado. So, if it seems dry, add some more coconut milk one teaspoon at a time. If it is bland, add more cinnamon ½ teaspoon at a time. If you loved this recipe, leave a comment below. For more period food ideas, check out this article and  don't forget to follow us on facebook for the latest and greatest in period news!